It's important to select the right branding approach for your organization's health and wellness investments. A brand that's simple, consistent and clear makes it easier for employees to understand your programs' objectives and what they need to do to earn rewards. 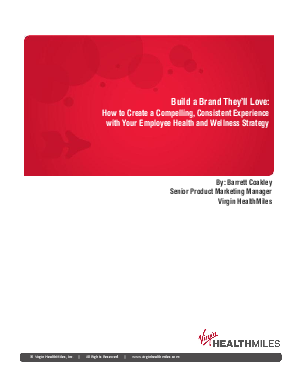 Discover the merits and best practices of three branding approaches for your health and wellness benefits - using your existing corporate brand, creating a sub-brand for your programs, or taking advantage of a third party's brand.